A few words - "See Rock City" - burned into the memories of more than one generation. A message delivered simply, painted on a barn or birdhouse targeting families on road trips. 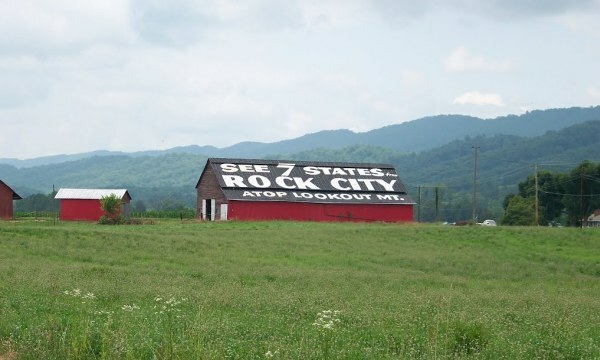 It worked; Rock City still attracts more than 1/2 million visitors a year. Cerimage will create an online marketing strategy for your business that brings your website, email campaigns and social media together to deliver real results. When you develop an integrated marketing strategy, you ensure that your online efforts are consistent with your sales objectives and goals of your business. At Cerimage, we begin each marketing project with a analysis at the overall business strategy and create a marketing campaign to fit it. Once we have an understanding of the client's market share and situation, we develop a plan to create new or overhaul existing marketing material for all channels including electronic and print. Based on your needs, we can develop the material, or assist in locating suitable vendors. We can also ensure that the strategy is communicated and implemented throughout the client organization. Search Engine Marketing (SEM) is another strategy to drive traffic to your site. We can create a Pay-per-Click (PPC) campaign utilizing Google Ad Words or Bing Ads. Ads can be targeted based on a number of factors including location, device, even time of day. Let us work with you to design a SEM strategy that will maximize your advertising budget.